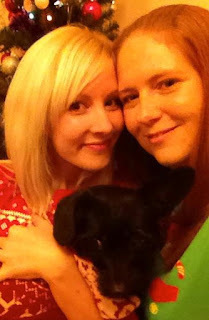 2 Wives 2 Mums: Feeling festive! We have been feeling so Christmassy lately! This started with a trip to London to visit some of our friends. It was a very welcome break, as we are so busy with work, rarely have the same days off, and have to book any trips weeks, sometimes months, in advance. We drove down to their flat after work last Friday and had a good catch up over a takeaway! We also took Willow along with us! On Saturday we had a joint Christmas/Thanksgiving party which was lots of fun. After lots of food, alcohol, and fun, we went to bed very full and happy around 2.30am! 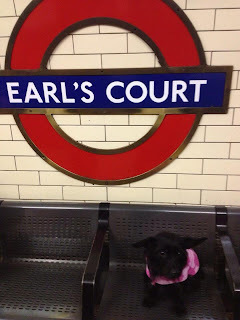 The next day the four of us went into London - it was Willows first time on a bus, not to mention her first time on the Tube! She took it all in her stride and enjoyed having lots of people to wag her tail at! She even had her picture taken inside Harrods, and had lots of people stop to take her picture. 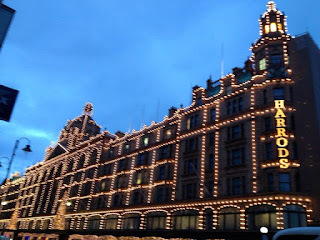 We went to Harrods Christmas department which was amazing - it was me and L's first time in Harrods, and we loved it! Although, having worked in a department store years ago, I was unimpressed by the staff - I really hate staff who think because they work in an upmarket store, they are above everyone - you are just a sales assistant at the end of the day! We have been served by lovely people in other upmarket stores, and I think doing your job well earns you respect, rather than how fancy your name badge is. 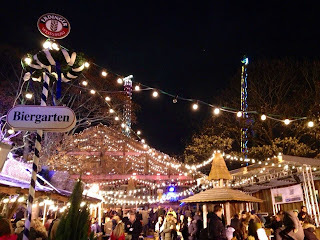 Back on the subject, we then wandered down to Winter Wonderland at Hyde Park. 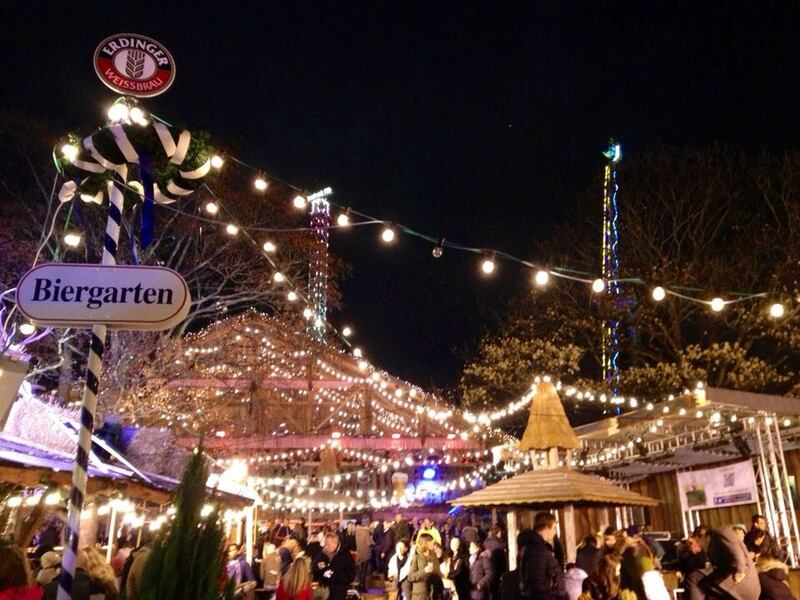 It was very similar to Birminghams german market, although as it is smaller, its slightly easier to walk around. We had such a fun weekend in London, and it really got us in the mood for Christmas. 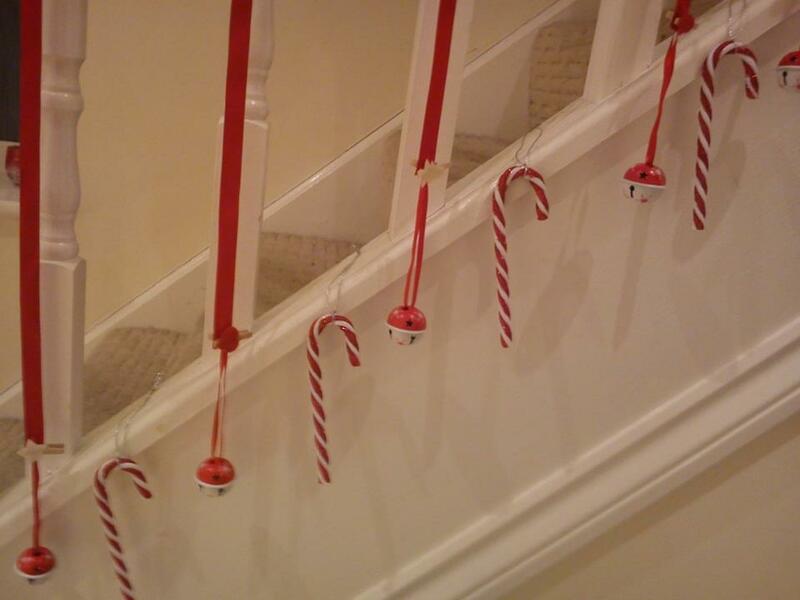 So, yesterday, we decided to out our Christmas decorations up! We try to wait until December 1st, but due to work, yesterday (November 29th) was the closest we could get! While I was at work, L planned to get the tree and decorations down from the loft, so it would all be waiting when I got home. After searching the loft, she remembered we'd threw away the tree last year, with the plan to buy a new one this year! So instead, L picked me up from work and we drove to Asda to pick up a new tree. After 8yrs together we have accumulated LOTS of decorations, and I really like how they are so 'us'. We love decorating for holidays, and it was only 4wks ago we took down our Halloween decorations! We also dug out 'Gaydeer' our rainbow striped reindeer that we've had for years, and Willow was very curious of. Unable to stop at one tree, we also have a purple and pink themed one in our bedroom, and a pink one in the spare bedroom! 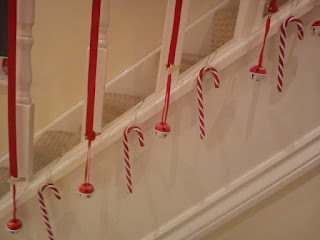 We also put tinsel on every available surface, and put ribbons, candy canes and bells down the staircase! We love how twinkly and cosy the house feels full of Christmas decorations - you can't ever be sad when you have a house full of fairy lights and glitter!